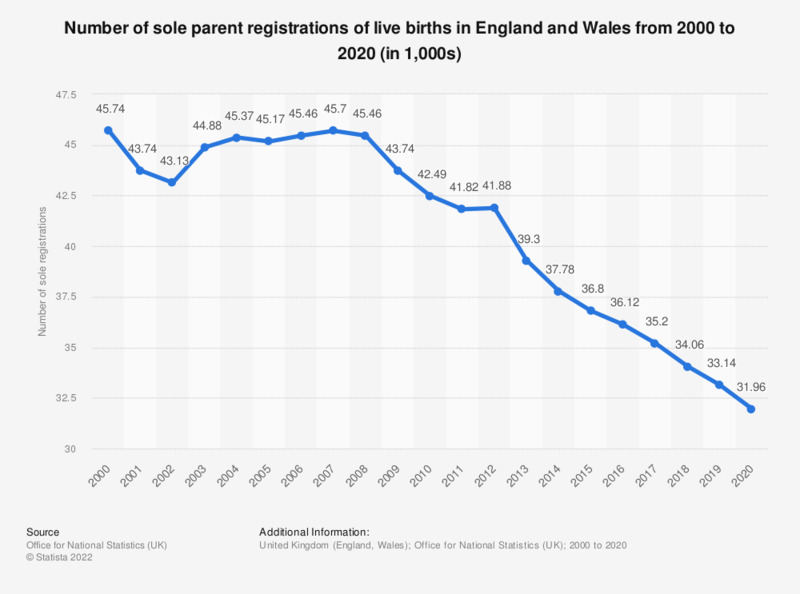 This statistic shows the number of sole registrations of live births in England and Wales from 2000 to 2017. A sole registration is a birth registration which includes no information about the father of the child. The number of this category of births has declined by approximately 10 thousand in this seventeen year period. * A sole registration of a birth is a case where only the mother is registered as a parent of the new-born child.